I have a bloated, interest-only loan on my home. (I purchased my home in home in Los Angeles around February 2007). I am totally ‘upside down’ and I can no longer afford to make the payments. For the past few years, I have been juggling my work and flying back and forth to the east coast to care for a family member with Alzheimer’s. Now my reserves are almost wiped out and I am seriously struggling to make my first and second mortgage payments. In spite of rumors that the housing market is on the verge of making a comeback, for me, the odds of that happening are not worth betting on. I am completely overwhelmed – trying to do the right thing while maintaining my excellent credit. However, I am at my wits’ end and need guidance. Should I do a short sale, let my home go into foreclosure, try to get a loan modification, or try some other option? I have no other debt beside my car, and I managed to pay off my recent credit card debt with my 2012 tax return. Caring for a loved one plus mortgage troubles is overwhelming. No wonder you feel at your wits’ end. I would feel the same way. I suggest that you first seek a loan modification. The big banks have become much more lenient. You have nothing to lose by trying. You can get information on the federal Making Home Affordable programs, which include loan modifications, on Nolo’s Government Foreclosure Prevention Programs topic page. You may also be able to negotiate a modification directly with your lender/servicer. If you can’t get a worthwhile modification, you may have several other ways to go. But before you quit paying your mortgages, decide what your highest priority is: to dump the house or protect your credit? People rarely can do both, but you can still try. 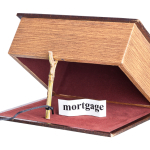 If you can’t get an acceptable loan modification, you might want to consider a short sale. If you go this route, I suggest you keep both of your mortgage loans current. By doing so, the adverse impact to your credit will be minimal or none. But before you negotiate a short sale, check with a good CPA to find out if there is a tax bite waiting to get you after the sale. Unfortunately, your lender may not agree to a short sale unless you are behind on your mortgage payment. In fact, most real estate agents will advise you to stop paying your mortgage to increase your chance of getting the lender’s approval of the short sale. Of course, when you stop making mortgage payments, your credit will take a hit. You’ll have to decide whether short selling is worth the damage to your credit. If you can’t get a short sale approved and you plan to let your home go through foreclosure, you might be on the hook for the balance remaining on the second mortgage. I would advise meeting with a local bankruptcy specialist right away for basic advice. Bankruptcy can wipe out your liability for any deficiency. In some cases, you won’t be liable for a deficiency anyway, which would mean a bankruptcy wouldn’t be necessary. A good bankruptcy attorney can tell you whether you’ll be on the hook for the second mortgage or not. If you stop paying your mortgages, your first mortgage lender will eventually foreclose on your home. If your second mortgage is a home equity loan, the second mortgage lender can sue you for the loan balance. This is where bankruptcy comes in – you may be able to wipe out your liability for the loan balance in bankruptcy. To learn more about short sales, loan modifications, and other options to avoid foreclosure, visit Nolo’s Alternatives to Foreclosure section. However, in California, if your second mortgage is a purchase money loan (meaning you got the loan to buy the home), the lender can’t sue you for a deficiency balance. In this scenario, you wouldn’t need to file for bankruptcy after the foreclosure. Of course, either way, you would sacrifice your credit. But, you would probably get to live in your house payment-free for six months or more while the foreclosure proceeds. Just in the nick of time, the United States Congress extended the Mortgage Forgiveness Debt Relief Act through the end of 2013. It was scheduled to expire on December 31, 2012. If your lender forgives part of your mortgage debt (perhaps because you’ve modified or restructured your loan, gone through a short sale, or lost your home to foreclosure), you would normally be required to pay taxes on the amount forgiven. This is because the IRS considers the forgiven loan to be income. The Act was scheduled to expire on December 31, 2012 (it had already been extended once). As part of the recent legislation to avoid the fiscal cliff, Congress extended the tax relief of the Act through the end of 2013. That means that if you meet the qualifications in the 2007 law, you can get tax relief for mortgage debt forgiven through December 31, 2013. Federal agencies and state attorneys general recently announced that the five largest mortgage servicers have agreed to pay up to $25 billion to settle legal claims related to wrongdoing during the foreclosure crisis. The participating mortgage servicers include Bank of America, JPMorgan Chase, Wells Fargo, Citigroup, and Ally Financial. If additional mortgage servicers join in the settlement, the total amount of the settlement could reach $30 billion or even $45 billion. Where will the settlement money go? $5 billion to participating states and the federal government. The money will be distributed over the next three years, but incentives are in place to encourage the banks to distribute the money in the next 12 months and to help those homeowners who are in most need of relief. The mortgage servicers participating in the settlement will determine which borrowers are eligible for relief over the next six to nine months. If you think you might be eligible, you may want to contact your servicer directly. 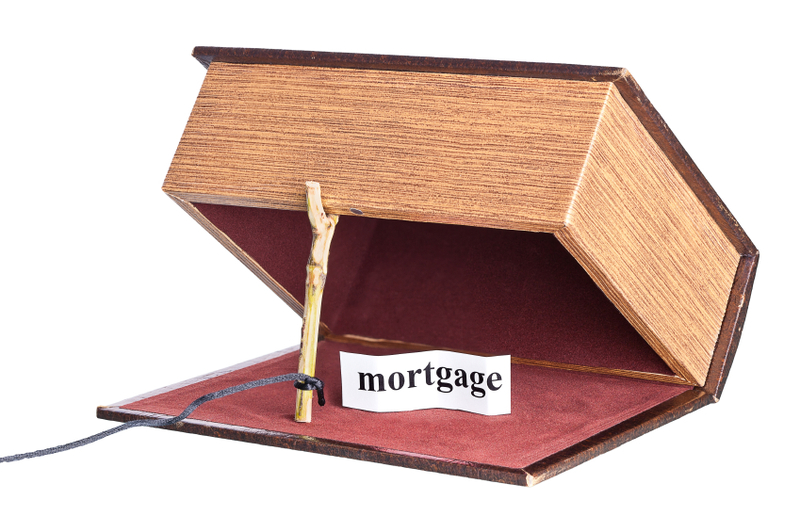 What do the mortgage servicers get in return? In exchange for their settlement payment, the mortgage servicers will no longer be subject to state and federal civil lawsuits for wrongdoing related to the foreclosure crisis, including robo-signing, the charging of excessive late fees, and the wrongful denial of loan modification applications. However, banks may still be subject to criminal prosecutions and private lawsuits. 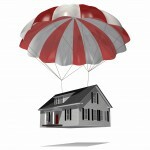 For more information on the mortgage settlement, visit www.nationalmortgagesettlement.com.